Citroen Racing has recruited Yvan Muller as part of its World Touring Car Championship (WTCC) team. The French driver, a three-time world champion, will drive one of the Citroen C-Elysee WTCC cars that will be used in the competition from 2014.
figure in the world of WTCC, having won the title three times (in 2008, 2010 and 2011) and broken every record going, from race wins and points scored, to the number of pole positions and number of laps spent in the lead. The 2013 season has confirmed his supremacy and he could clinch his fourth championship crown at the upcoming Sonoma meeting (September 7-8). A consistently excellent performer and painstaking in his car development work, Yvan, a native of France's Alsace region, is an ideal choice for Citroen Racing's 2014 team. "Throughout its history, be it in cross-country rallies or WRC, Citroen Racing has always sought to recruit the best drivers," notes Yves Matton, Managing Director of Citroen Racing. "We have set ambitious goals for our new challenge in WTCC, and the arrival of a driver as experienced as Yvan will help us to make rapid progress. He has shown this season that he is at the peak of his powers and that his thirst for wins has never been greater. He will also be an excellent point of reference for Sebastien Loeb. The two men are from the same region and have known each other for a long time. Their mutual respect will create a natural cohesion within the team." 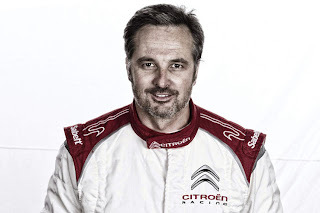 Having worked with five manufacturers during his touring car career, Yvan Muller is feeling highly motivated by this new challenge: "It will be a real honour to represent Citroen Racing from 2014. As a rally fan, I have always followed Citroen and Seb's victorious seasons in WRC with interest. It's fantastic that a brand with such a terrific record is getting involved in a category where it still has everything to learn. This isn't the first time I have joined a team that doesn't have a lot of experience in the discipline it is racing in. It's nice to be able to go beyond my role as a driver by offering the benefit of my knowledge and making an active contribution to building a successful team." Yvan Muller's contract commits him to the team for the next two seasons. After driving the Citroen C-Elysee WTCC for the first time at the Val de Vienne circuit, he will take part in the testing programme that will take place in the lead-up to the 2014 World Championship.